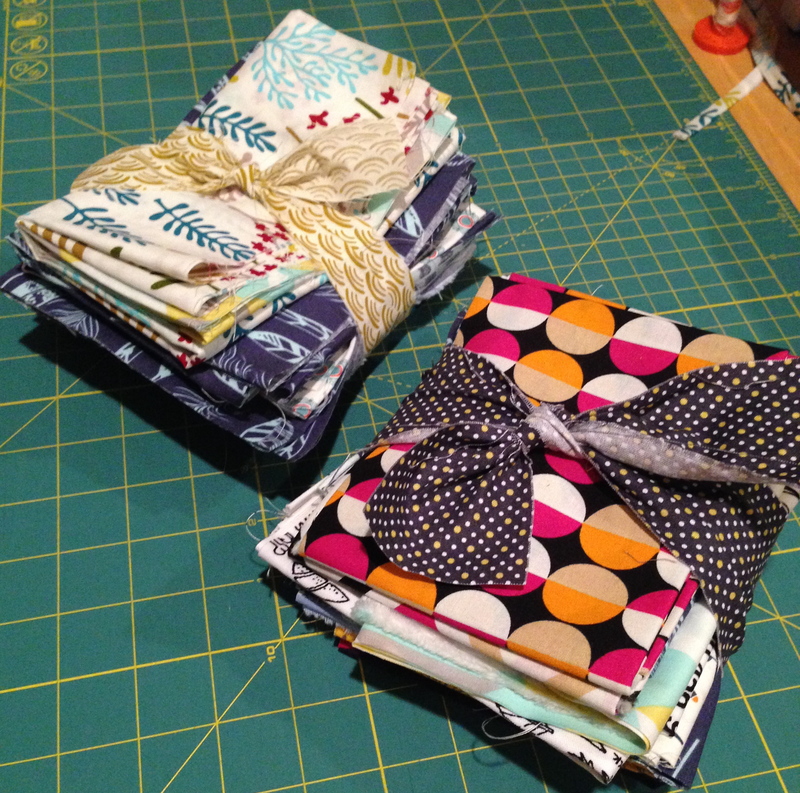 Congratulations to Renee and Stephanie, who won bundles of fabrics in my giveaway on Friday. One bundle is headed to New Mexico and the other will come with me to Thursday’s NJMQG meeting. 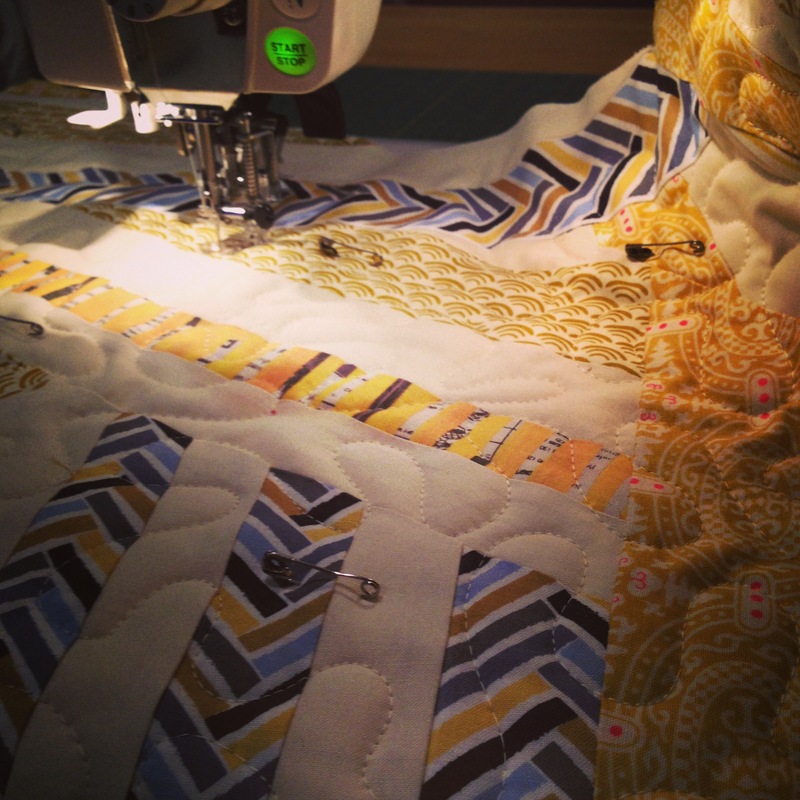 Thanks to everyone who commented and visits to indulge in some of my quilt obsession. And I made the back. Today I assemble front and back. I may play with some of the embroidery features on my machine. I forget sometimes with pillows (and quilts too for that matter) that they don’t lay completely flat when in use. I get used to seeing it laid out on the floor and then it goes and takes on a whole new life of its own. 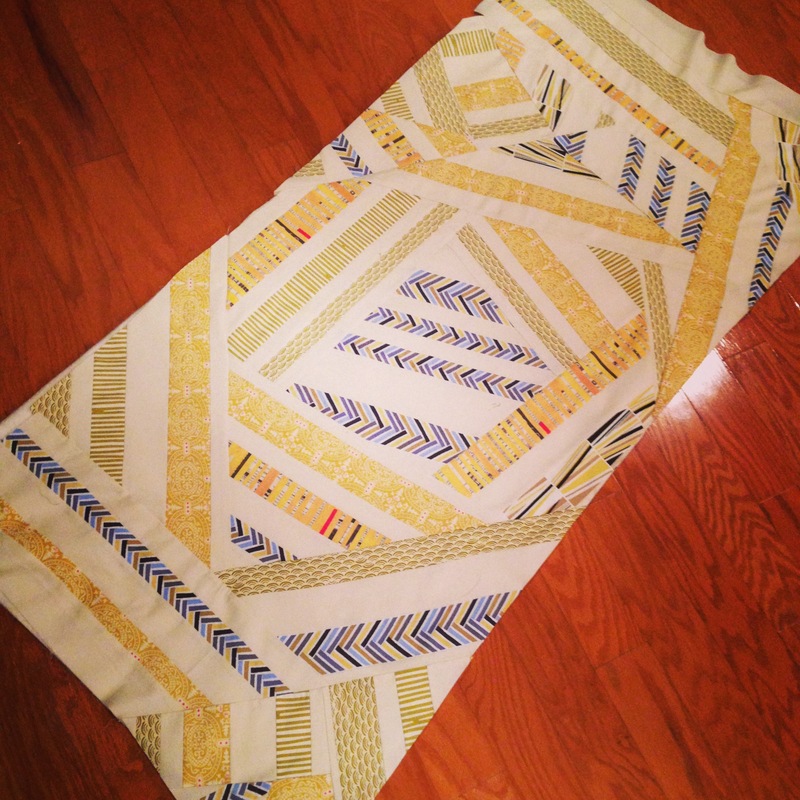 It’s a happy thing, especially when you can see the front and back of a quilt at the same time as it lays in a scrunched pile on the couch, but it’s strange to see its new shape when you’ve fallen in love with it flat. This pillow is like that. I kind of want it to lay flat forever, but I’ll have to see how it evolves and takes on its new shape. Ok, that was an unintentional parenting metaphor. Who is feeling the passage of time especially hard as late fall digs in? This girl. If you’re looking for something seasonally mournful and rousing, this song floored me when it came on an online radio station. It’s a Johnny Cash cover of a Sting song meant to be a tribute to country music and westerns.